Slow internet usage is very exasperating. There are so many factors that make your internet connection slow and even down. It is not always the case of your internet service provider that causes such hurdles. The possibilities of slow internet connection may be with your location or equipment. It is necessary to know what caused the slow internet problem and how to troubleshoot slow internet connection problem rather than blaming your ISP. 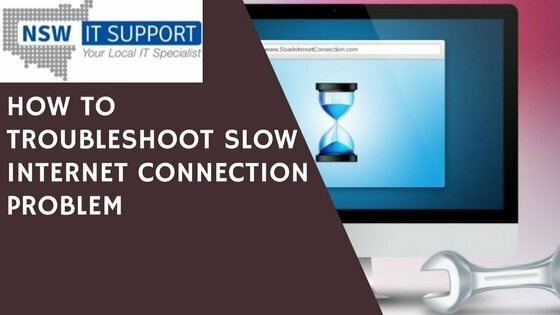 Here are few simple steps that you can follow to trouble slow internet connection problem of yours. Using TPG’s DSLAM Coverage Maps helps you check the distance from the exchange. 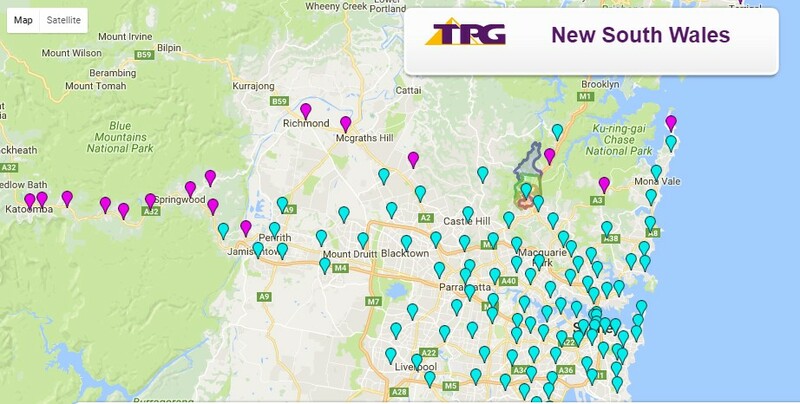 The blue markers show the exchanges where the ADSL2+ are available in New South Wales. If you select any of the points within the given exchange will return a sample of connections closest to that point. You can get more information regarding the DSLAM by TPG by clicking over the image below. To simply check the internet speed of your internet plan provides by your ISP, just browse the SpeedTest site. Running the test will be your very next step. In the event that the numbers you found after the test look alike with the actual what you are paying for, then your network is working correctly. This implies that you are just paying for the slow internet service and must upgrade for good speed. Let’s just say your internet is just too slow to run and test the speed using Wi-Fi connection. Under those circumstances, you can make yourself confirmed regarding the speed by using the RJ45 connector wire to connect directly to the modem and check the speed. Another significant cause that effects the internet to run smoothly is irresponsible activities by users that include naked wires left out of the connection. This problem looks ignorant and not cared much for the internet connection . But in real it leads to cause to long term slow internet problem. To ensure that your connection is never lost again, checking every wire connection is important. If you are messing around with the Wi-Fi router settings, you may be familiar with the “channel” word. Most of the routers have the channels set to Auto. But among many of the channel settings some work faster. Before you plan to change the router channel settings, you need to know the clear thing about every channel workings. Finally, check if your modem wifi channel is adjusted correctly because inaccurate channel settings may have led your internet to run slow. This issue does not arise very often but if it does, it is going to make you very difficult to deal with your internet. Any corrosion in the phone wall socket may lead to the varying in speed performance at varying instances. Furthermore, you need to examine every electrical appliance to be aware of they are causing any problems to your internet works. Furthermore, you need to examine every electrical appliance to be aware of they are causing any problems to your internet works. Leakage of wires might be another hectic job to do. If all these ideas do not work to troubleshoot slow internet connection, call your ISP for further problem details. NSW IT Support is the preeminent internet service provider in Australia. NSWITS is working on providing the best and fast internet service in all Australia.